Suitable for Jazz styles and small spaces the 20″ kick will give you a punchy sound. With a shallow snare for extra attack and 20” kick drum for a punchier sound, the TDR520 is ideal for use in small spaces at gigs or at home, and suitable towards Jazz styles with the smaller 14″ floor tom and 20″ bass drum sizes. It’s also a great kit for a younger player looking to play and easily move round their kit. The pack is designed to offer great value, so includes everything you need to start drumming straight out of the box with a straight cymbal stand, hi-hat stand, snare drum stand, bass drum pedal, double braced stool, cymbals and drum accessories pack. 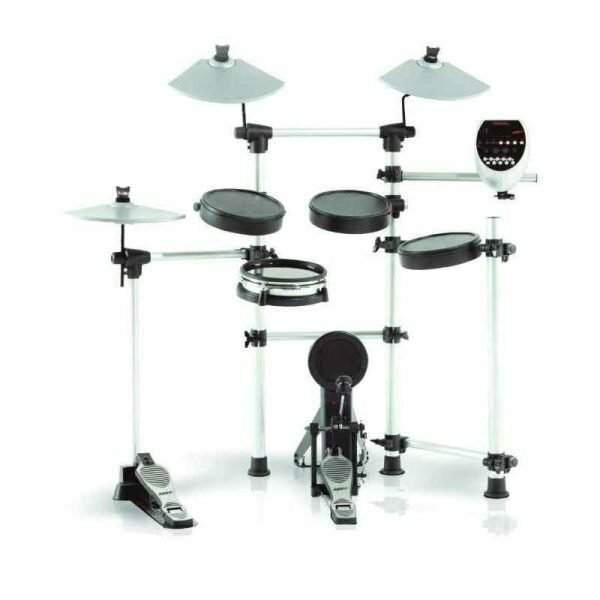 Includes bass drum pedal, dual trigger snare pad, 3 tom pads, ride & crash pads, hi-hat pad, hi-hat controller & Stereo mini-jack connectors.